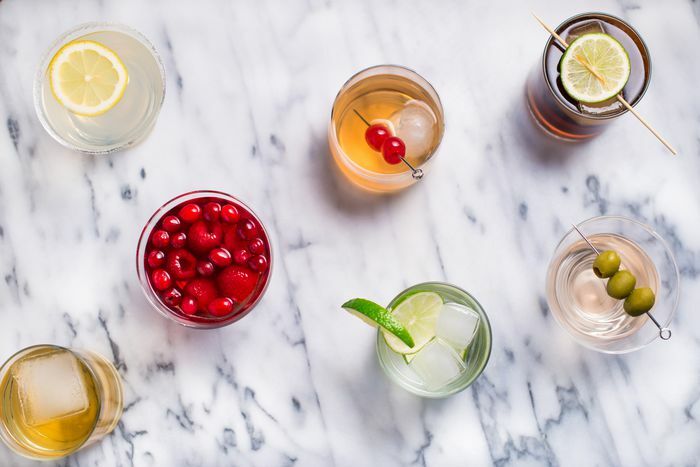 Whether you’re just starting to explore the world of mixed drinks, or are a hobbyist mixologist looking to hone your craft, there’s always something new to learn (or sip!). Creating great tasting cocktails at home is easy once you have a few basic tools, some recipes, and a handful of tips to get you started. In this guide, we break down both basic and advanced bartending techniques. We'll also help you identify essential tools you’ll need to make a great drink and share some of our favorite cocktail recipes. Chill some glassware and grab your jigger, it’s time to shake up your cocktail game! To get started mixing your first drink, you really don't need much. There are many popular cocktail recipes to choose from. A number of those simply require a glass, the liquor and mixers, and some ice with a spoon for stirring. As you build up your home mixing skills, you'll probably want to stock your bar with a few essentials. There's no need to go overboard, either. Stick with the base liquors you enjoy most — you might prefer vodka or whiskey over gin or tequila — and have some soda and citrus juices in the fridge. Other mixers like liqueurs, bitters, and syrups can be added as you discover new recipes. Once you fall in love with the taste of a freshly made cocktail, consider investing in a good cocktail shaker. They're not expensive and shaking cocktails not only gives you a better tasting mix, but it also opens up the number of great cocktails you can mix up. If you want to make a proper martini, margarita, or daiquiri, you'll need a shaker. Ready to take your cocktails to the next level? The keys to emulating the drinks made by professional bartenders lie in the smaller details. For instance, paying attention to quality in your liquor cabinet, ensuring your glasses are always chilled, and measuring every ingredient, are a few steps you can take to consistently create better cocktails. This is also the time to explore advanced mixing techniques. Since you have the stir and shake down, try rolling a drink or buy a muddler so you can make fresh mojitos and old-fashioneds in your own kitchen. Learning the science behind creating layered drinks and practicing your floating technique lets you get fancy with very little effort as well. You can also practice adorning your drinks with a sugar rim or garnishes, so you're ready for your first party. After all, you can't keep this new-found skill to yourself and drinks are always better with a few friends. You can study up on all sorts of bartending techniques and browse countless drink recipes, but try not to take it too seriously! This is supposed to be fun and a way to elevate your average home drinking experience (while saving the money you'd spend at the bar). It's similar to cooking for pleasure, only the experiments take a lot less time and are a whole lot more fun. Enjoy the journey and let it take you from one tasty drink to the next. There will be ones you don't like and you will screw up and make a mess at times, but that's okay! We've all been there, so roll with it. There are many refreshing drinks in your future.